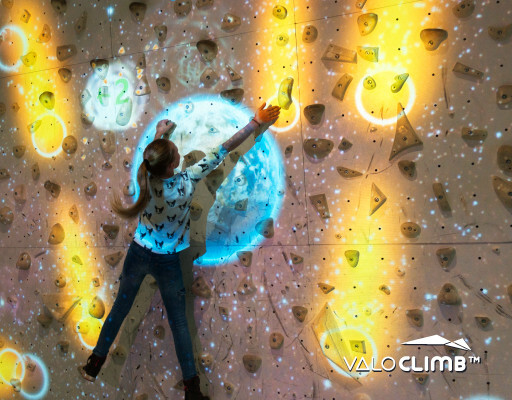 ValoClimb comes with several thrilling interactive games preinstalled and new content is developed actively. This means that the system stays fresh and players have more games and features to enjoy each time they come back. We update your unit via our cloud service to save your time. All our games have multiple difficulty levels from beginner to more advanced players. You can adjust the game area height in some games too. 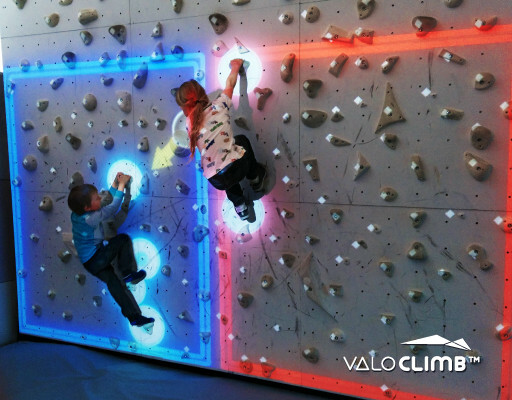 This makes ValoClimb suitable for almost anyone regardless of age, size, fitness and skill level. The games compel climbers to keep playing and improving their strength, balance, agility and endurance in the process. What is super cool, is that ValoClimb is the first system to allow use generated content in extreme sports. You can create your own levels and problems to suit your skill level. Check out Augmented Problems and Sparks! Route creation, sharing and climbing with video feedback. Gamified endurance trainer and all-round fun bat splatting. Shockingly enjoyable mazes with static and moving levels. Engaging two-player ballgame with both competitive and co-operative game modes. Save the world from blazing fireballs.